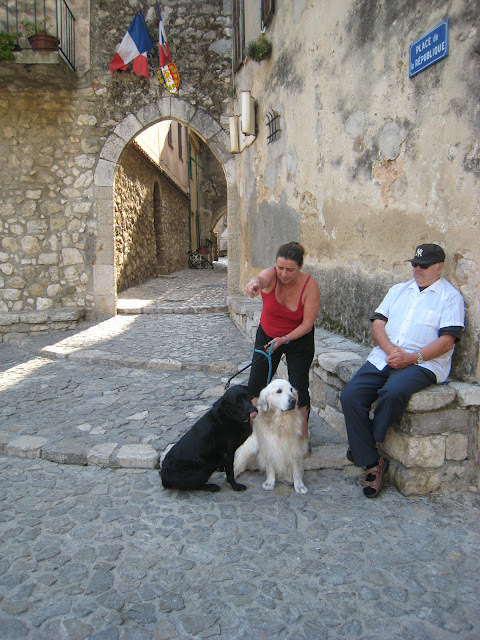 Jules (the labrador who is 6) and Jim (the Golden Retriever who is 13) live in the village of Gorbio and had come down to the main square for the Blessing of the Animals. Below you see their owner telling them to look at the camera. In the background is the archway leading to the medieval village. I, of course, have labs....love this photo!!!! 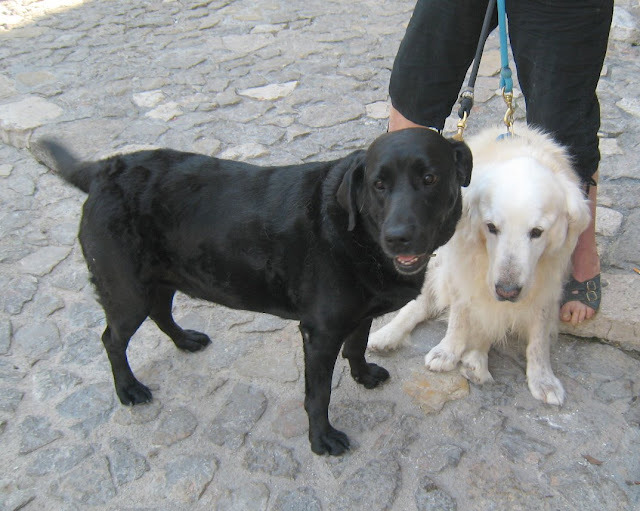 These are my dogs, the golden retriever unfortunately has passed away. I'll love both of those dogs forever. Jim and Julie. John I found your comment in the junk file - so sorry to hear your golden has passed away. Such a lovely dog.